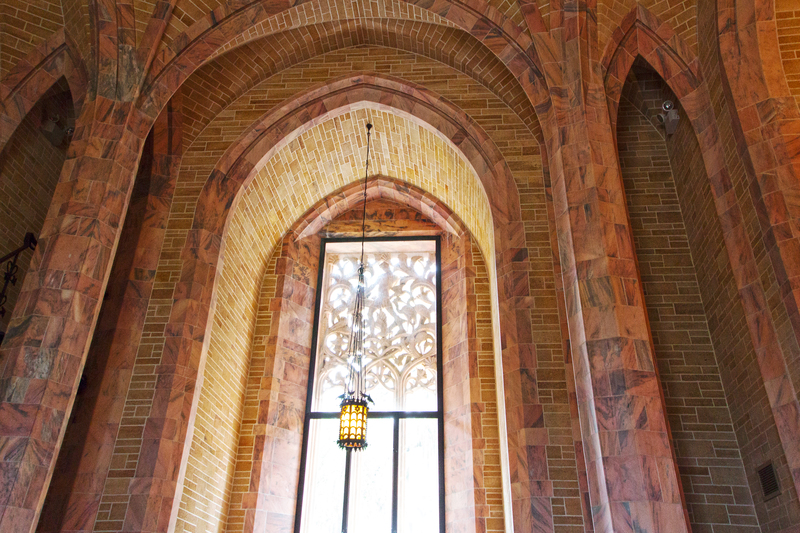 Published February 20, 2013 at 5184 × 3456 in Florida: Inside Beautiful Bok Tower! Wrought Iron Lantern in Front of Carved Marble Window (“Feeding the Flamingoes”), Founder’s Room, Bok Tower Gardens, Lake Wales, Florida. Window was carved in place from a single block of stone.